Are you suffered from receding hairline, thinnning hairs or premature baldness? PRP Therapy (Platelet Rich Plasma) for Hair Restoration could be an answer! PRP is an exciting non-surgical aesthetic therapy for men and women who require stimulation of hair growth for hair loss conditions. The idea behind PRP Therapy for Hair Restoration is to utilise body’s own ‘growth factors’ to naturally stimulate hair growth. It will provide a very natural looking results. 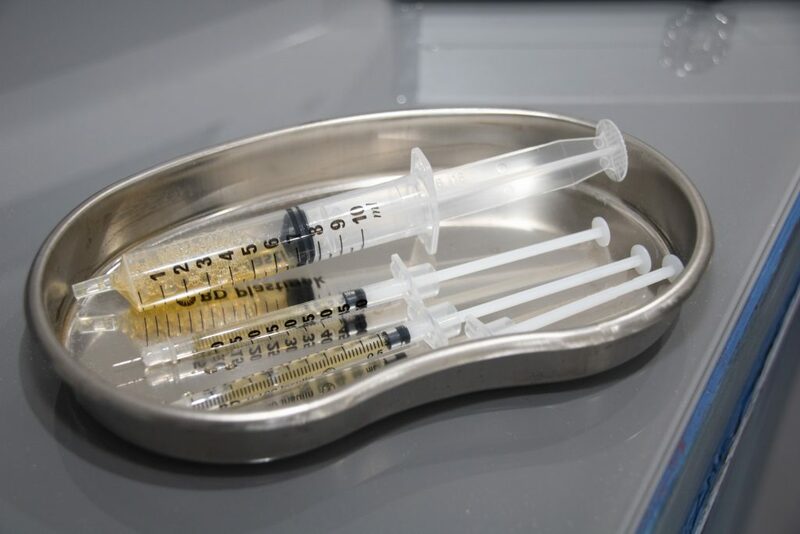 The treatment involving taking a small amount of PRP from your body. Then it is specially prepared by spinning down the blood cells to a high concentration. When it is injected with a thin needle, the growth factors in your blood cells will be released into the scalp. This will encourage the hair follicle’s growth. PRP Therapy for Hair Restoration is suitable for both men and women. It is a completely non-surgical treatement involving minimum to no downtime.